SINCE the 1960s an appreciation for all things Celtic has been growing in central Europe and today the region holds the biggest Highland games outside of Scotland itself. The Sychrov Highland Games are held in the Liberec region of the Czech Republic every August and can attract up to 10,000 people per day. The games are completely authentic and traditional and include the usual mix of kilts, archery, toe-dancing, falconry and of course bagpipes, haggis and whisky – a lively celebration of all things Scottish more than a thousand miles away from the country itself. Set in the grounds of the stunning 17th century neo Gothic Sychrov Castle, the event originated 12 years ago as a celebration of Celtic history and culture and is the only traditional Scottish event in central Europe. It attracts both traditional and modern Scottish and Irish bands and professional Scottish sportsmen with whom visitors can participate and compare their strength. There are also country dancing, fencing and falconry displays, as well as plenty of activities for children. “You really could be in the highlands of Scotland when you’re there – apart from the fact that the weather’s generally better! “We loved the feel of a foreign culture immersed in a part of the world which is not really associated with Celtic traditions and we now try to visit every year if we’re there because the children also love the atmosphere and have a great time with all the music and dancing,” said Linda. As the games are extremely popular and held in high tourist season, for visitors wanting to stay nearby, the Philips’ chalet – called ‘A Peace of Eden’ after the area’s name known as the Cze ch Eden – is available to rent. Just a 15 minute drive from Sychrov Castle and set in a three and a half acre meadow near woodland, it sleeps eight people in four bedrooms. 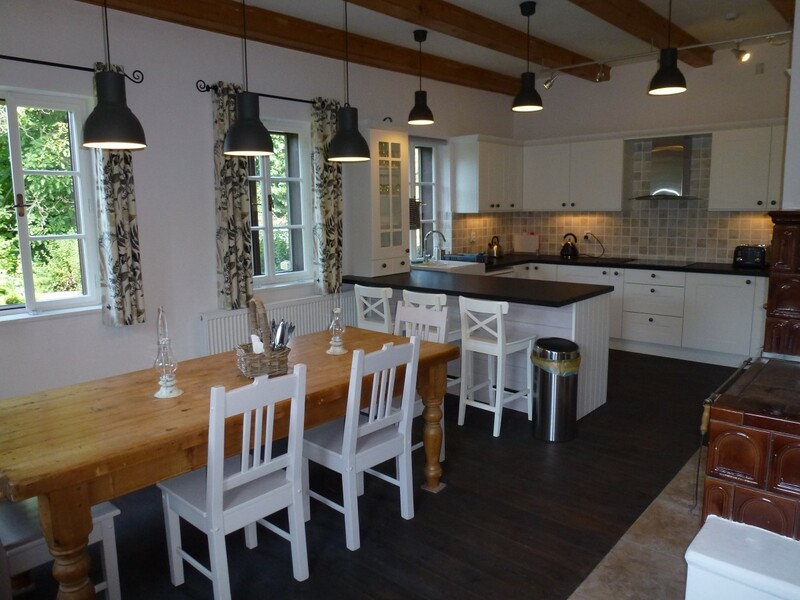 There are two identical main suites, each with access to a large bathroom with bath, toilet and walk in shower – making it perfect for families, extended families and groups of friends to share. 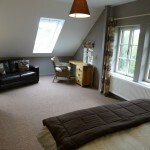 There are also two twin rooms with access to a large family bathroom. 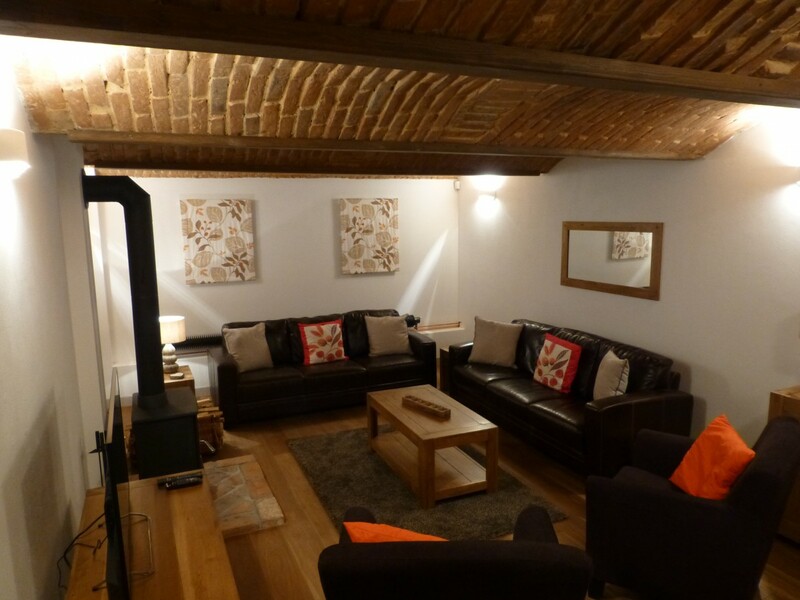 The lounge is the oldest part of the house with brick walls and a beautiful brick vaulted ceiling. 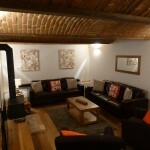 It is cool in the summer and very cosy in the winter with central heating and a wood burning stove. It’s the kitchen which is at the heart of the home, with a large dining table and additional seating for long, lazy meals. It is very well kitted out with all the mod cons including double oven, hob, microwave and dishwasher, as well as a traditional wood stove. 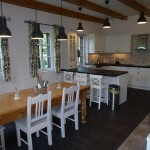 The house was renovated by the Philips, who fell in love with the area while visiting on business. Just an hour from the ever popular capital city of Prague, it makes a desirable alternative holiday or short break destination with a range of activities available all year round. A wealth of tourist information is at hand and English speaking guides are available. There are supermarkets nearby for both traditional Czech as well as western foods.